The fragmentation of financial systems along national borders was one of the main handicaps of the Eurozone both prior to and in the initial phase of the crisis, hindering the shock absorption capacity of individual member states. The EU has taken important steps towards the deeper integration of Eurozone financial markets, but this remains incomplete. This column argues that a fully-fledged financial union can be an efficient economic shock absorber. 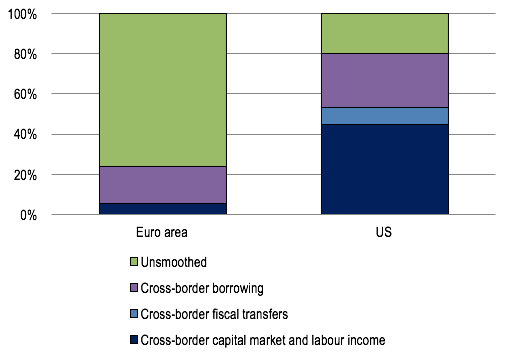 Compared to the US, there is significant potential in terms of private cross-border risk sharing through the financial channel, more so than through fiscal (i.e. public) means. 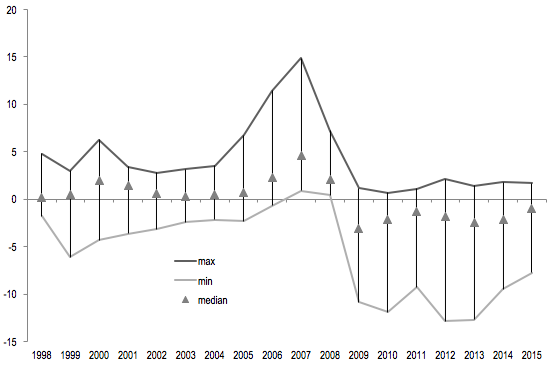 European Commission (2007), “Cross-border risk sharing: has it increased in the euro area?”, Quarterly Report on the Euro Area 6(3). European Commission (2016) “Cross-border risk sharing after asymmetric shocks: evidence from the euro area and the United States”, Quarterly Report on the Euro Area 15(2).